Mark has been working with athletes to enhance their overall athletic performance and lifestyle for the past 10-years. He is known for his blue-collar mentality and getting the most out of the athletes he works with. Mark has worked with hundreds of athletes of all ages, levels, and athletic backgrounds. 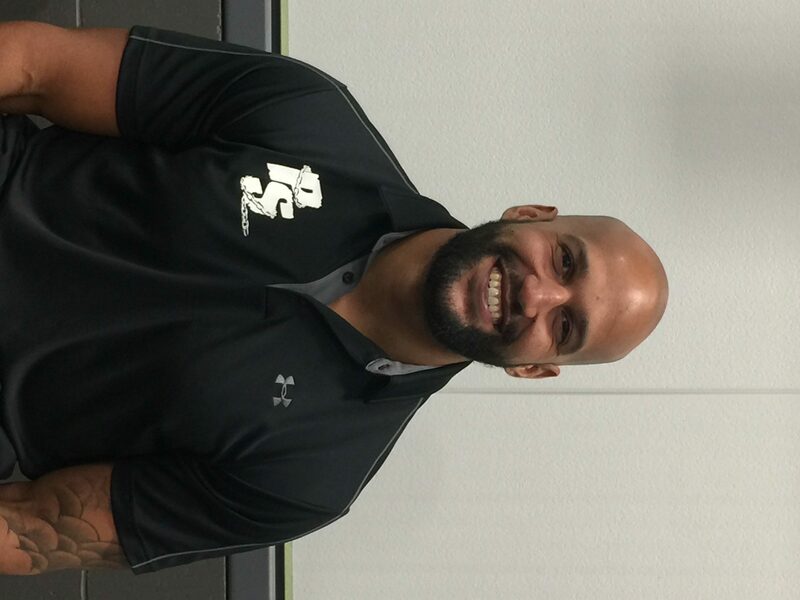 He has also coached football at the high school level and led high school strength and conditioning programs. Between the times spent on the family farm, competing with his twin brother, and growing up as an active athlete – Mark compiled a passion for leading others to develop better experiences and abilities through strength and conditioning and physical training. Mark is constantly discovering more efficient ways to coach, train, and further develop the results of all PowerStrength athletes. Mark graduated from Cornerstone University with degrees in Exercise Science, Coaching, and Sports Management. 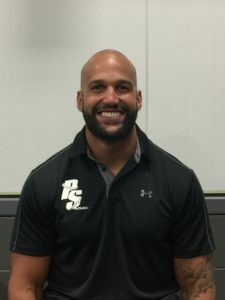 He is a Certified Physical Performance Specialist (CPPS) and is a Certified Strength and Conditioning Specialist (CSCS) through the National Strength and Conditioning Association. 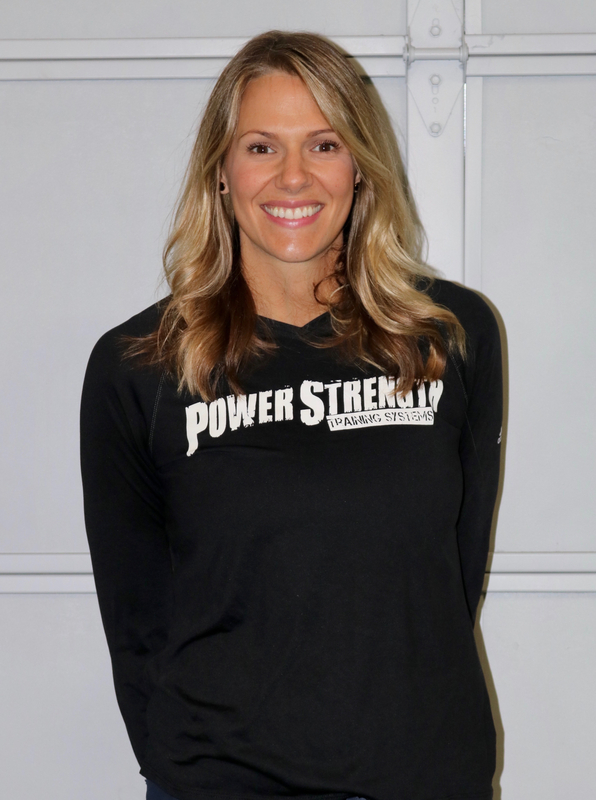 Jackie Ehnis, wife of PowerStrength founder, Mark Ehnis, is a West Michigan native, graduating from Ravenna High School and earning her Bachelor Degree from Aquinas College. Jackie excelled on the basketball court as a high school and college athlete, earning a full scholarship to play basketball at Aquinas where she was honored as a two-time All American. After college, Jackie followed her calling for empowering health and became a Certified Personal Trainer and Certified Strength and Conditioning Specialist. She gained valuable experience personal training in the area before moving to San Diego, CA to work as civilian contractor in the Navy. In this role, Jackie provided fitness assessments, programming, and coaching to Senior Naval Officers. In 2014, Jackie received her Masters in Public Health, with an emphasis on behavior change and has since worked in multiple capacities in the Public Health field, including personal training, employee wellness, lifestyle coaching, and school health. Jackie is passionate about helping adult clients reach their goals through individualized training programs and behavioral coaching. She excells working with adult clients that are focused on fat loss, improving body composition and strength, and improving quality of life. Jackie provides large-and-small group training sessions, and also offers one-on-one sessions for clients that want more personalized coaching to meet their fitness and lifestyle goals. She is currently a Certified Lifestyle Coach and is certified to administer the Functional Movement Screen. Cameron is a Grand Rapids native, and graduated from Forest Hills Central in 2008. He lettered in football, basketball and baseball before accepting a football scholarship from Hillsdale College. He played at Hillsdale College from 2008 until 2012 and was a captain his senior year. While at Hillsdale, Cam was an All-Conference and All-American selection his junior and senior seasons. During the middle of his senior season Cam tore his ACL, but still received All-Conference and All-American honors. Cameron graduated with a degree in Marketing/Management. After graduation Cam came back to PSTS to pursue his dream of playing in the NFL. During that time, Mark also molded him as a coach, while preparing Cam for his football combines. Cameron signed with the Indianapolis Colts in 2014 and played with them in the preseason. After his time in Indianapolis, Cam spent some time playing in the developmental FXFL and returned from playing professionally in Turkey in June of 2016. 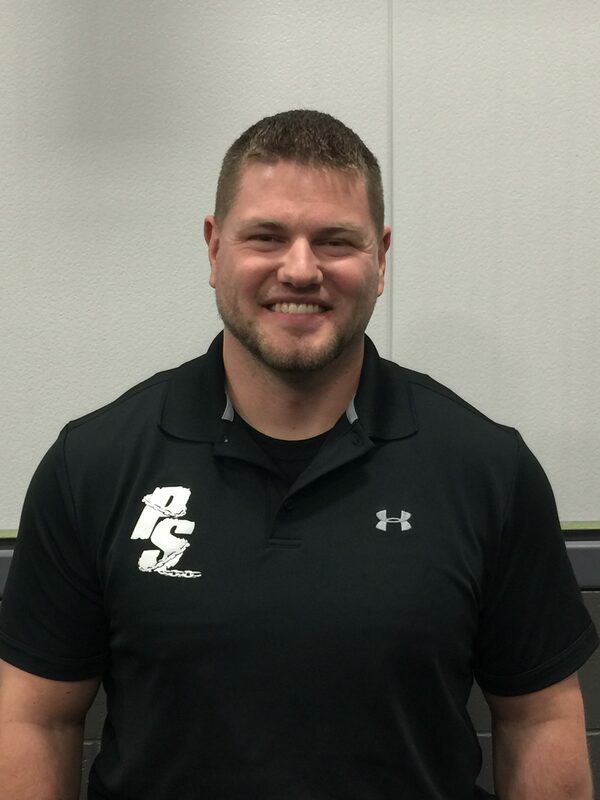 Cameron is CPPS Certified and ACE Certified and serves the PowerStrength Family as a General Manager and Director of Youth Training. Cam’s ability to connect with young athletes really helps develop a foundation for safe, effective, and fun training for athletes of all abilities. Skyler is from Napoleon, Ohio and attended Hillsdale College with a focus on biochemistry and exercise science, while playing football for 4 years. 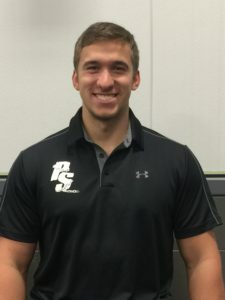 He first came to PowerStrength during one of his summers to perform an extensive internship and train with our college athlete group. 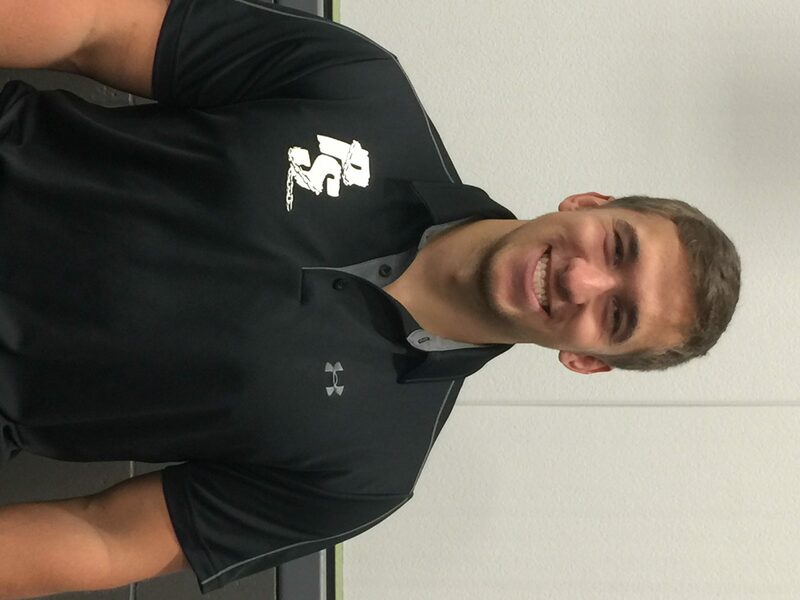 In 2014, Skyler moved to Grand Rapids to begin at PowerStrength full-time. Since then, he developed within the team and now humbly serves as our Director of Programming and Training. He also coordinates our Internship Program and Nutrition Program. 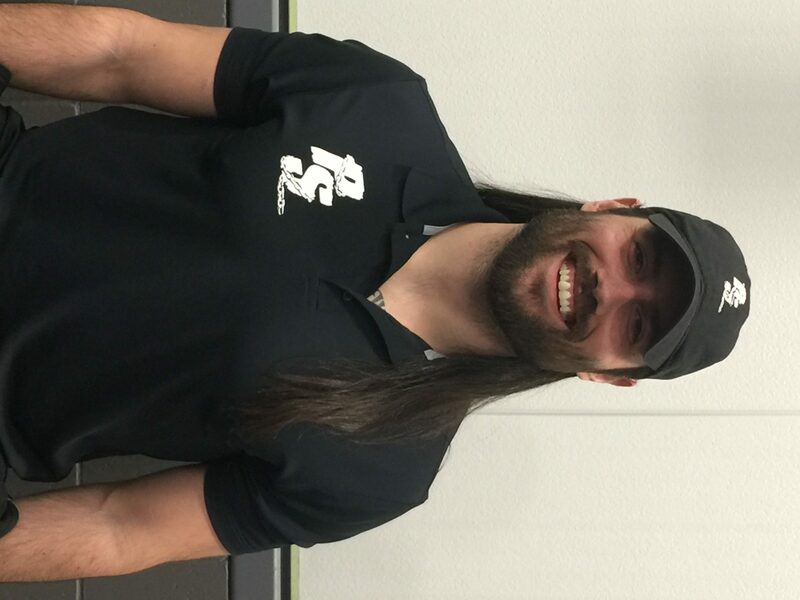 He is certified as a Certified Physical Preparation Specialist (CPPS), Precision Nutrition Level 1 Coach (PNL1), Certified Speed and Agility Coach (CSAC), and Certified Group Fitness Instructor (ACE GFI). While he recognizes certifications and letters have value, Skyler takes it as his mission to use self-directed learning to continuously bring the newest, most effective methods to all of our clients and coaches. Skyler was never massively talented as an athlete but always prided himself on his work. Unfortunately, his athletic career was cut short by a serious hip and back injury. He now brings his attention to detail and work ethic to learning and coaching so that our clients always get the most out of the work they put in and they can control the “controllables”. Stefan grew up in Grand Rapids, Michigan where he attended Forest Hills Northern High school. He received varsity letters in football, rugby, and wrestling. 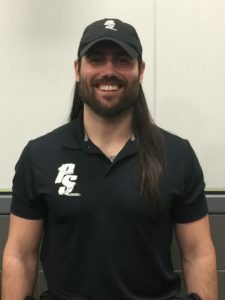 Stefan has been an athlete at PowerStrength since the very beginning – supplying him with a unique outlook on training and coaching environment. Stefan has done it all under our roof as an athlete, an intern, and as a coach to a wide variety of clientele. Being a long time athlete of PowerStrength, Stefan is very knowledgeable in our program. Stefan is very passionate about helping athletes and adults attain their goals and live awesome lives.